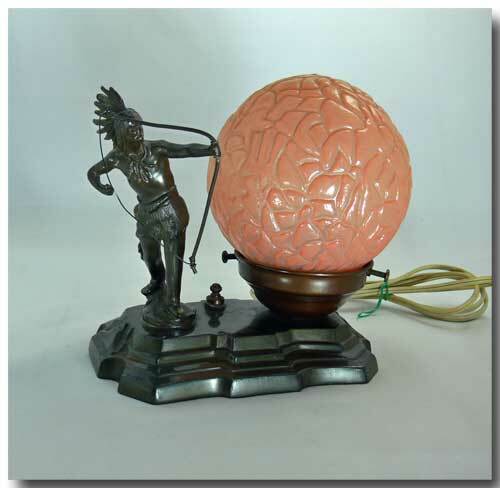 This 1930’s era American desk lamp has a cast metal base, it’s original pumpkin-coloured shade and a figure of a Native American drawing his bow. The lamp is in perfect working condition and has it’s original cord & plug. There are a few reddish marks on one end of the base but no breaks or damage. The wire bowstring is a replacement. All else is original. Measures in inches approx. 7 ½” high x 7” long x 5” wide. Circa 1935.